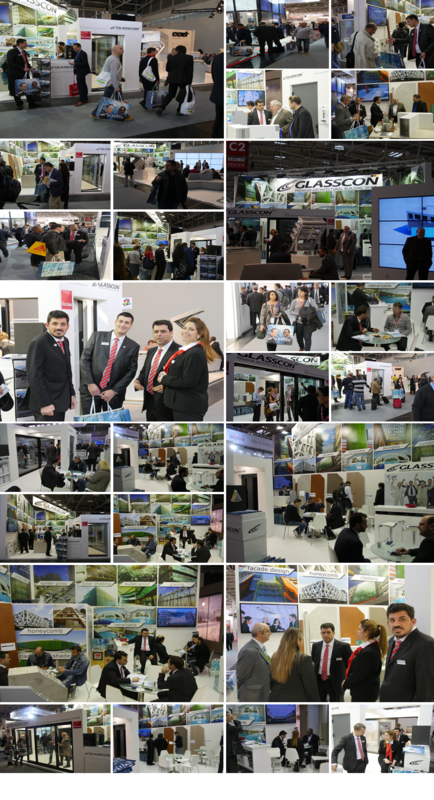 GLASSCON is proud to announce, that our presence at the exhibition BAU 2015 was a great success. Being at the exhibition, we had a very familiar feeling of our time in Munich. For those, who want to have a quick look, click on the appropriate links. We can confirm, that these new innovative products aroused a very big interest, especially in the Middle East and African Market. Moreover, we were pleased to welcome a big audience from Russia, Georgia, Poland, United Arab Emirates, Qatar, UK, and many countries from Africa. We thank a lot to those, who assisted us at our stand and exchanged business ideas and cards. The exhibition was a very good opportunity for us to acquire new international projects, as well as new Certified Business Partners. Have a look at our new company video. If You are also interested in joining our Partnership Program, sign up here. We are looking forward to attend the BAU 2016, this time, our stand will be even bigger!